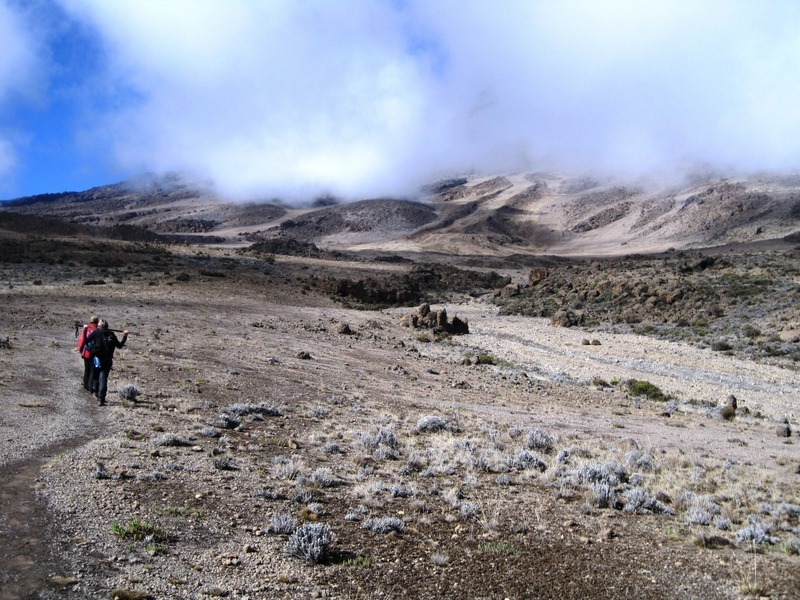 The various trekking routes on Mount Kilimanjaro are featured in my book Kilimanjaro: One Man’s Quest to Go Over the Hill, which chronicles my attempt to summit Africa’s highest mountain. The book is on sale now as an e-book for $3.99 and in paperback for $9.99 at Amazon and other booksellers. 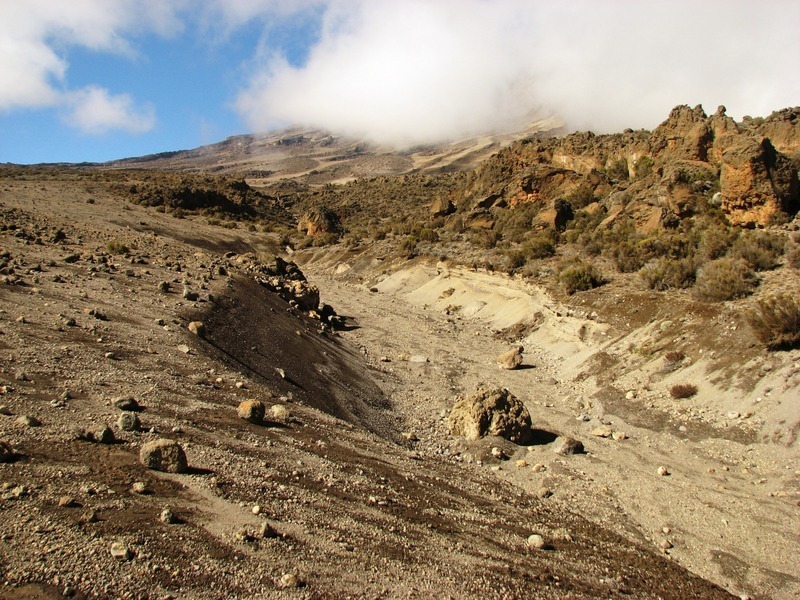 Kilimanjaro is featured this month as a new release by the World Literary Café. 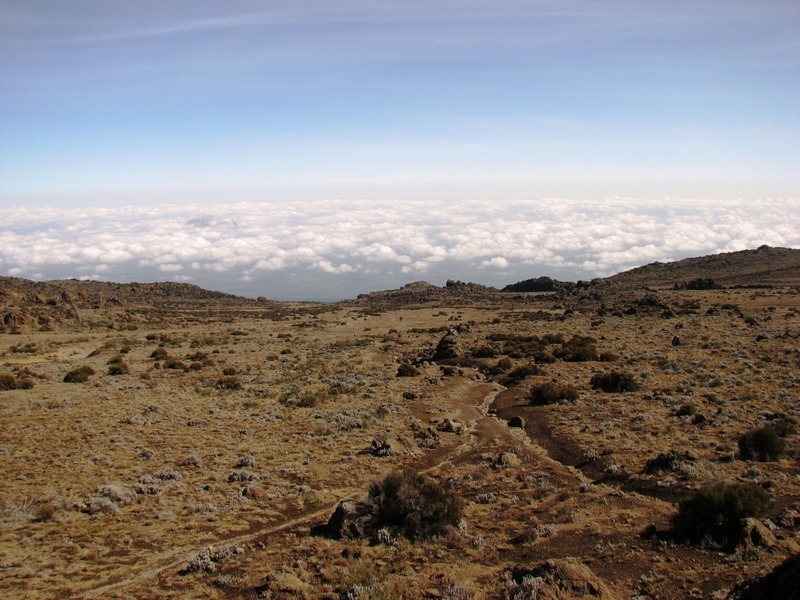 The routes on Mount Kilimanjaro are as varied as its terrain and vegetation. All ways to the top are difficult, but none are alike. None guarantee you will reach the summit and make it back safely. 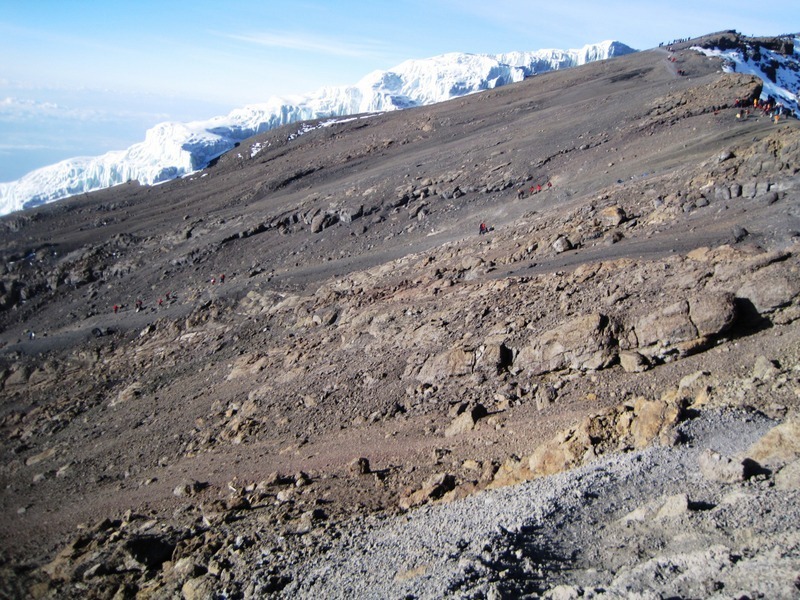 Some routes, such as the Marangu and Rongai, are considered “easier” than the others because they offer a better chance of success to most climbers. 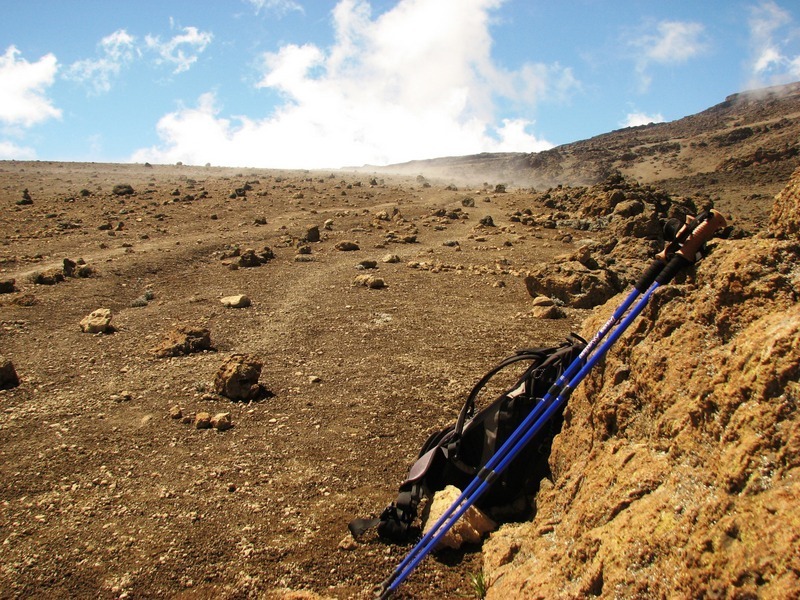 The slopes they ascend are more gradual and longer, and hence give climbers more time to adjust to the high altitude. 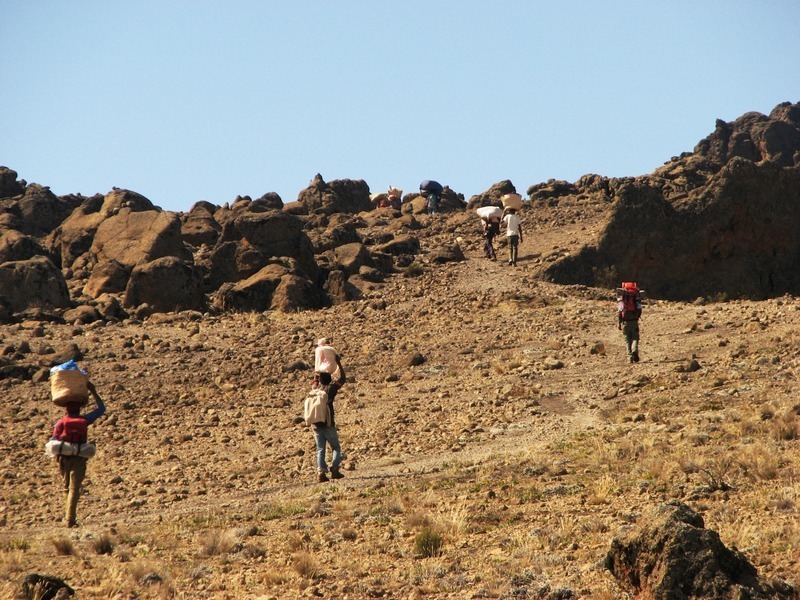 Steeper climbs, such as those on the Machame and Umbwe routes, are often preferred by more seasoned trekkers. 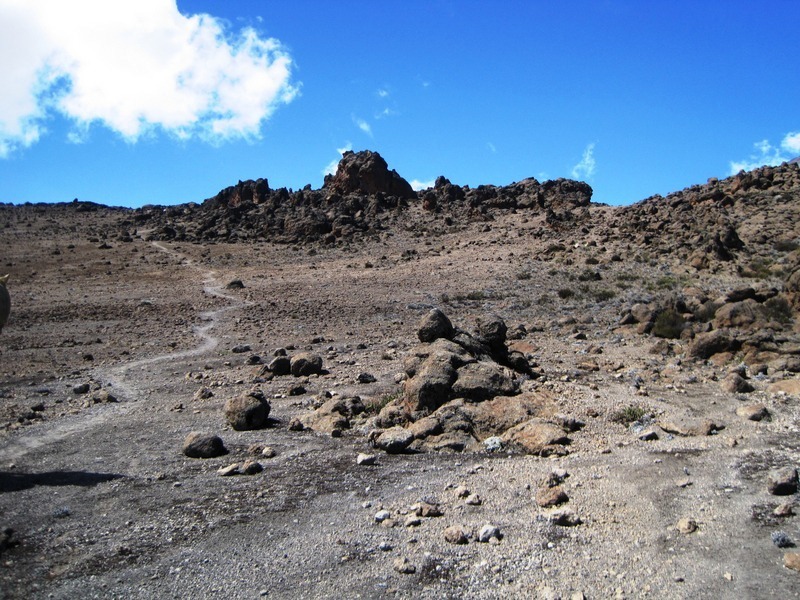 For those seeking a more roundabout way to the summit with great views or a wide range of biodiversity, the Shira Plateau-Lemosho and the Northern Circuit routes could be options. The route you choose depends on you. 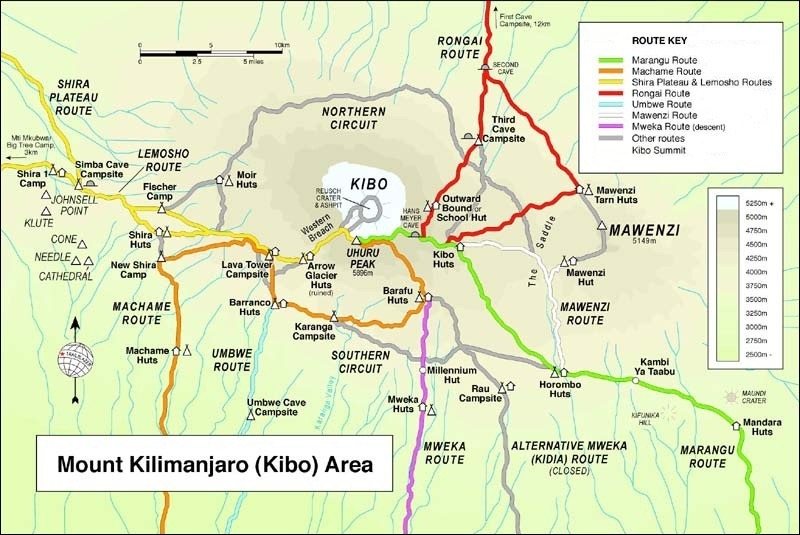 Map from “Kilimanjaro – A Trekking Guide to Africa’s Highest Mountain” by Henry Stedman. Trailblazer Publications; 3rd edition. Courtesy of Henry Stedman. 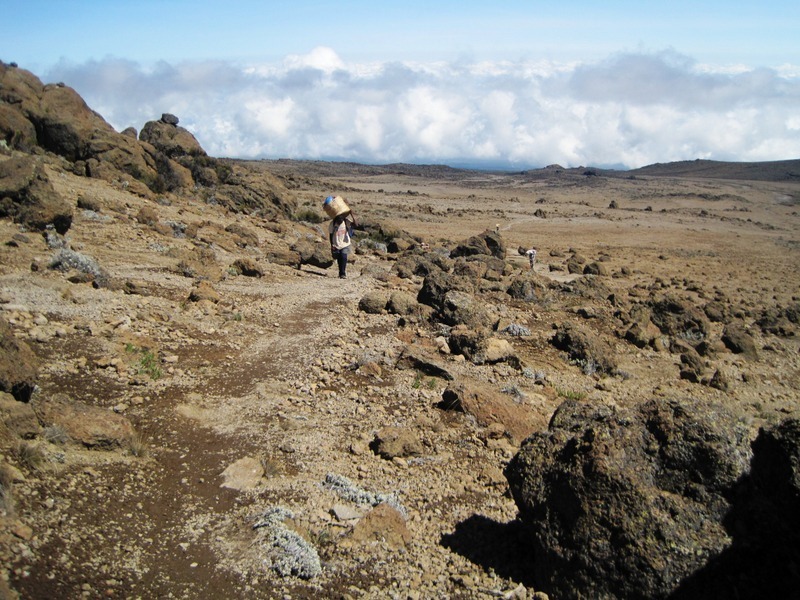 The following are general descriptions of the major routes on Mount Kilimanjaro. 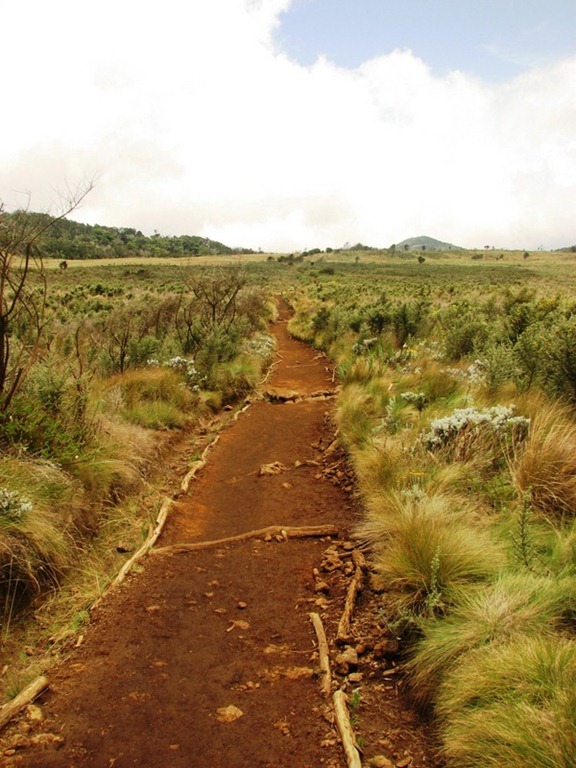 Lemosho Route: A longer, lesser-used route that passes through the Shira Plateau, it merges with the Machame Route. 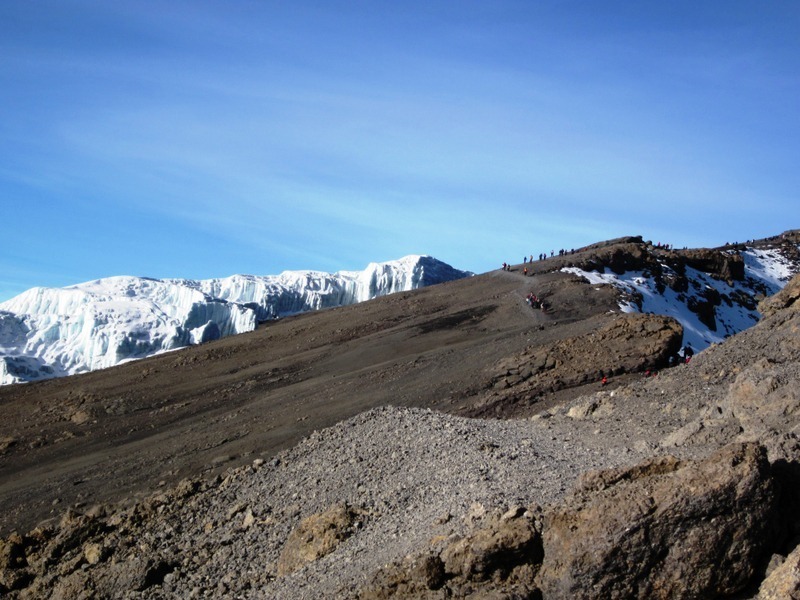 Climbers usually reach the summit either via the Western Breach or Machame Route. 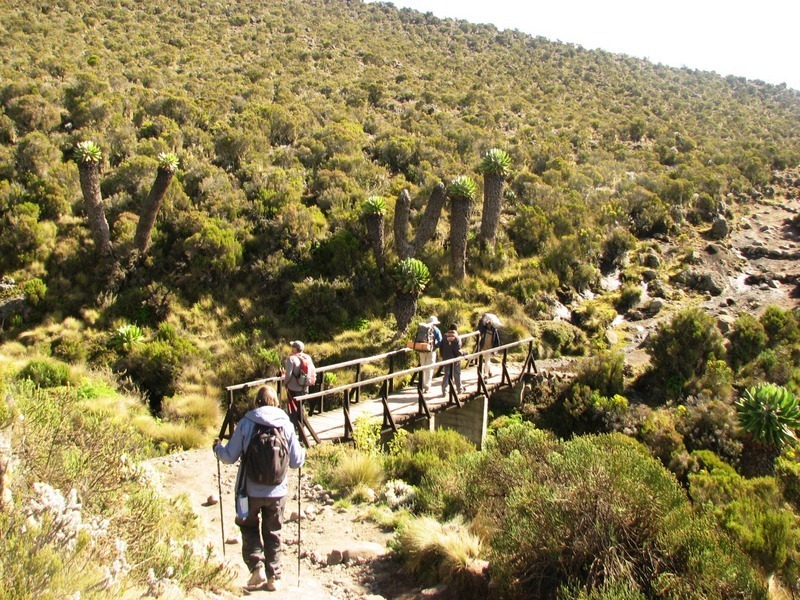 Lemosho is a walking safari with possible animal sightings, and guides carry firearms in the event that climbers stumble upon predators. 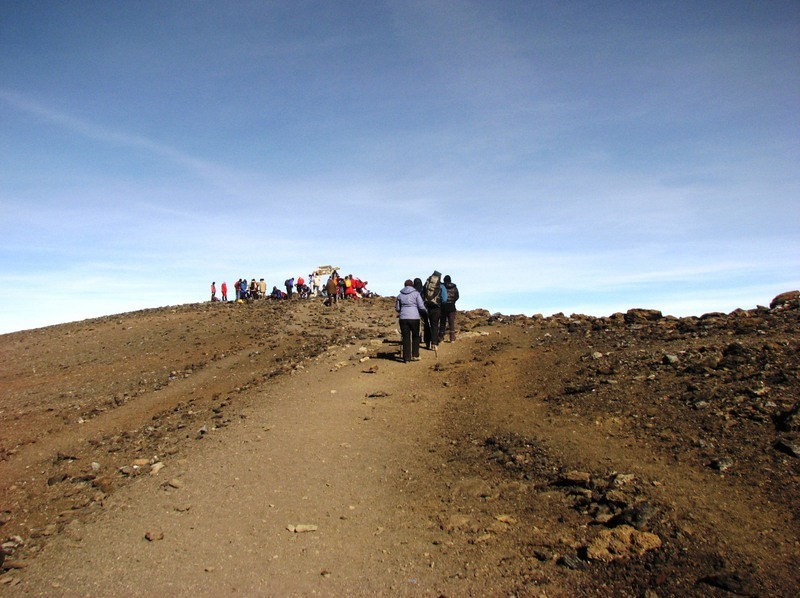 Marangu Route: Also known as the “Coca-Cola” Route, this is the most popular way to the summit and typically takes six days. 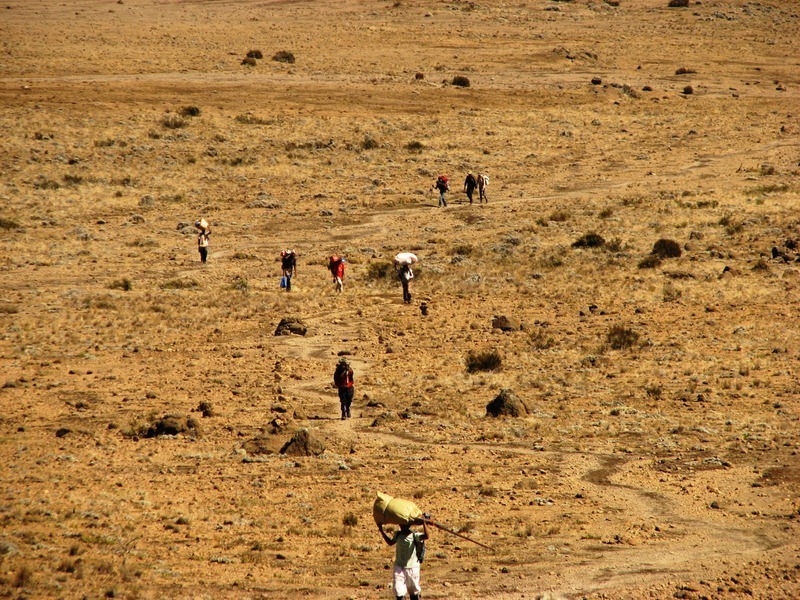 Its camps have better facilities than those on other routes. 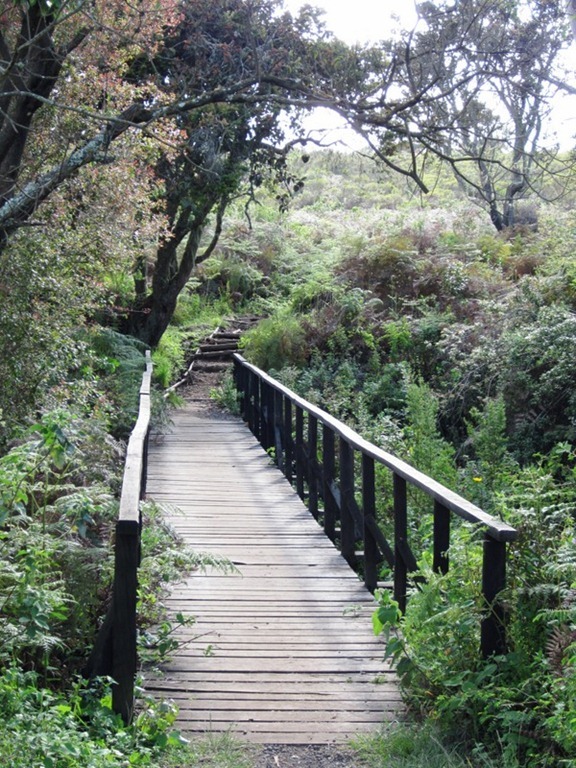 The trail starts at the Marangu Gate and passes through Kibo Huts to the summit. 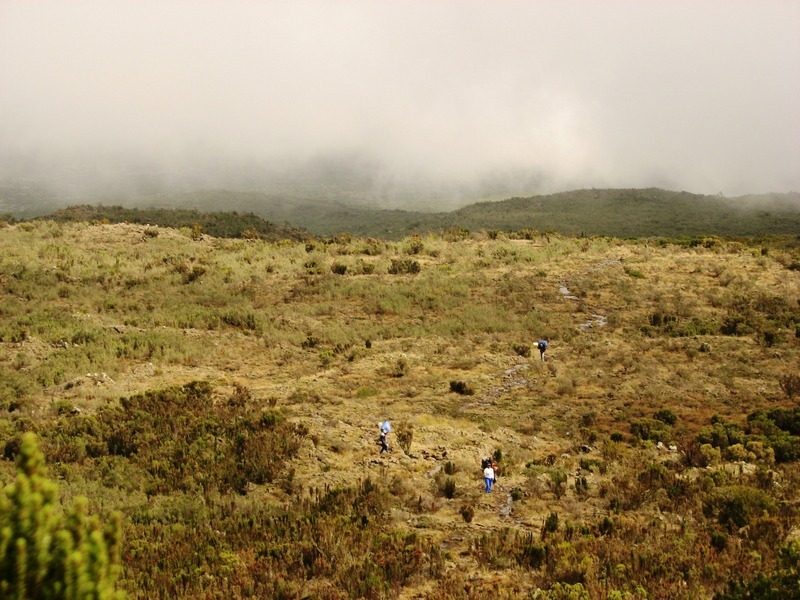 Some claim that it is the easiest route and has a higher success rate because it allows climbers more time to acclimatize and a more gradual ascent. 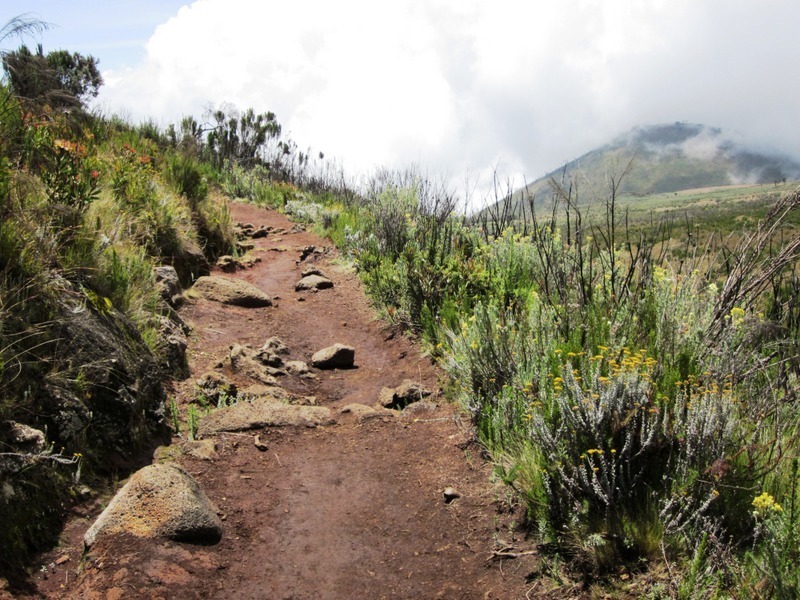 Machame Route: Also known as the “Whiskey” Route, the Machame is the shortest and steepest route to the summit. 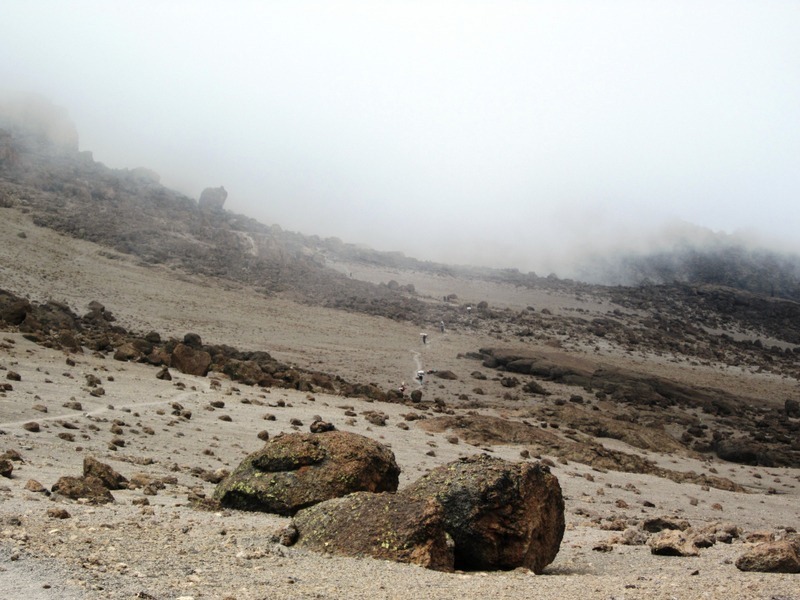 It begins on the south side of Kilimanjaro and reaches the summit by scrambling from Barafu Huts up the slope of Kibo Peak. 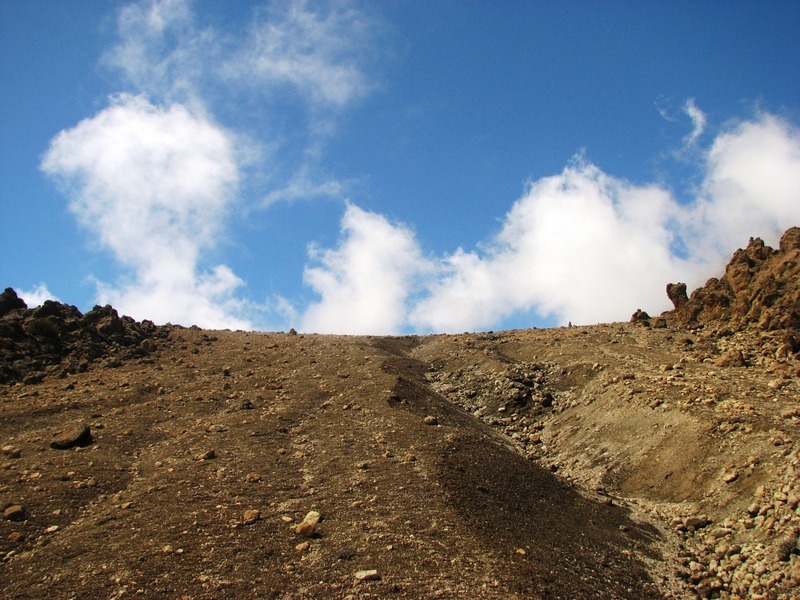 The hard and fast ascent generally decreases climbers’ odds of reaching the summit, although it may be suitable for experienced climbers who adjust quicker to higher altitudes. 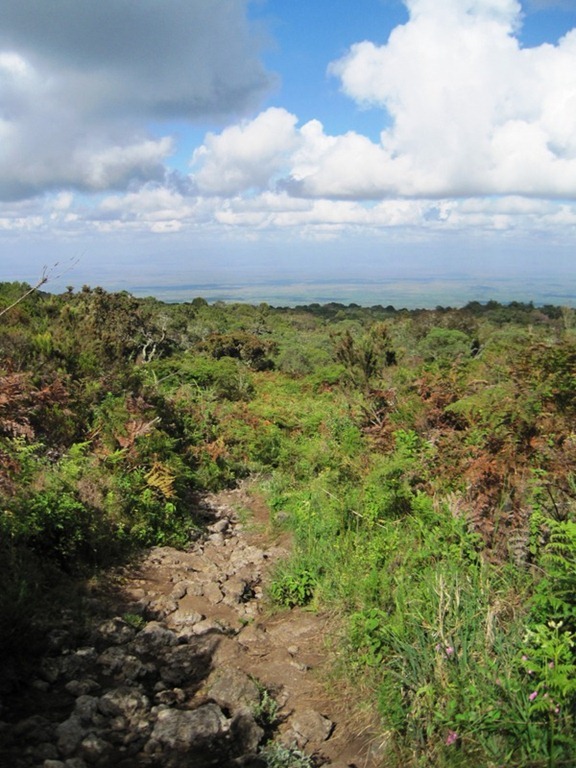 Mweka Route: A short, steep route used only for descent. 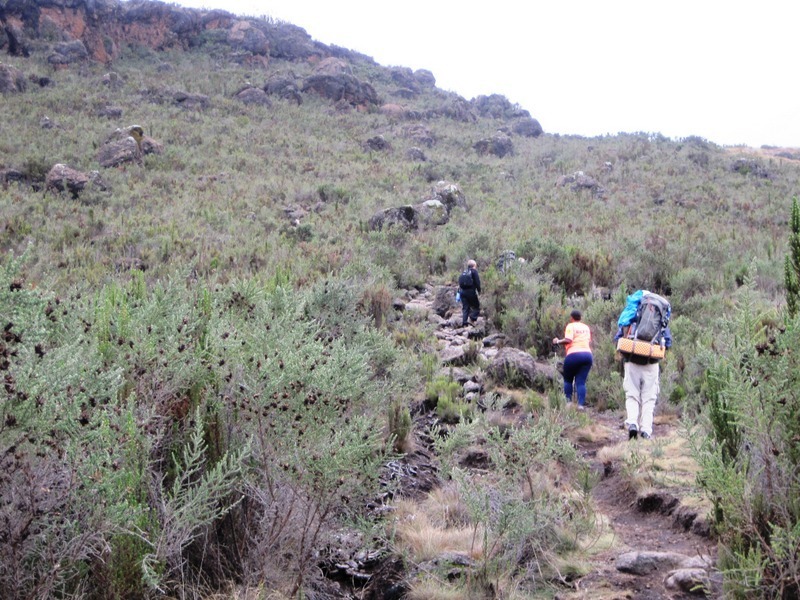 Climbers on the Machame Route often use it to descend the mountain. 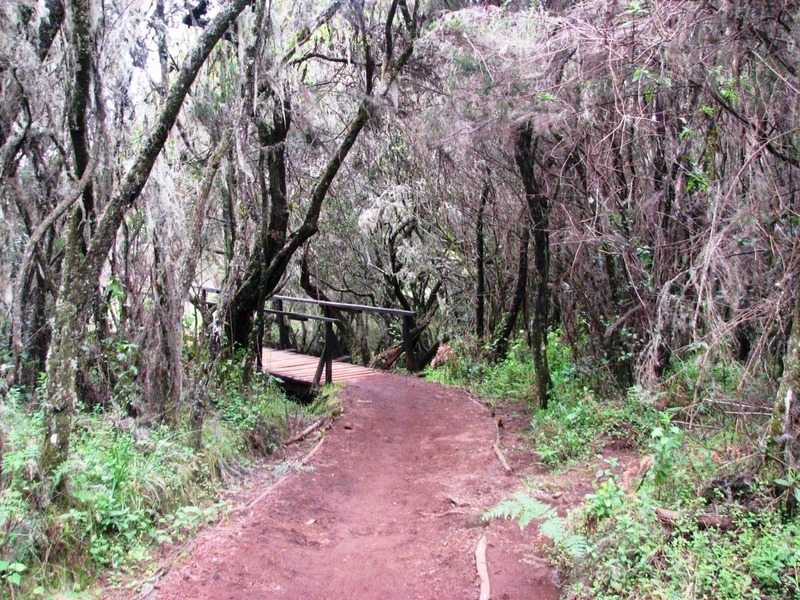 The trail begins at Barafu Huts and heads south. 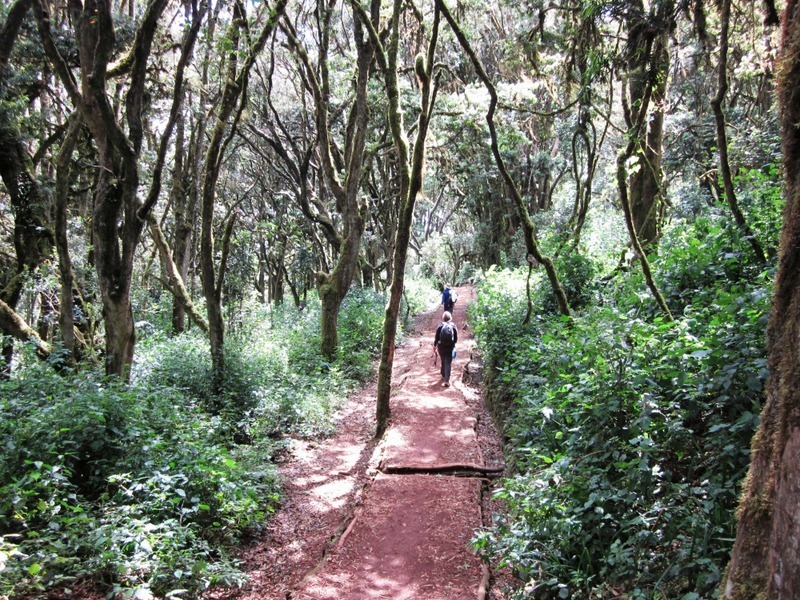 Northern Circuit: A lesser-used route that circles the north side of Kibo Peak. 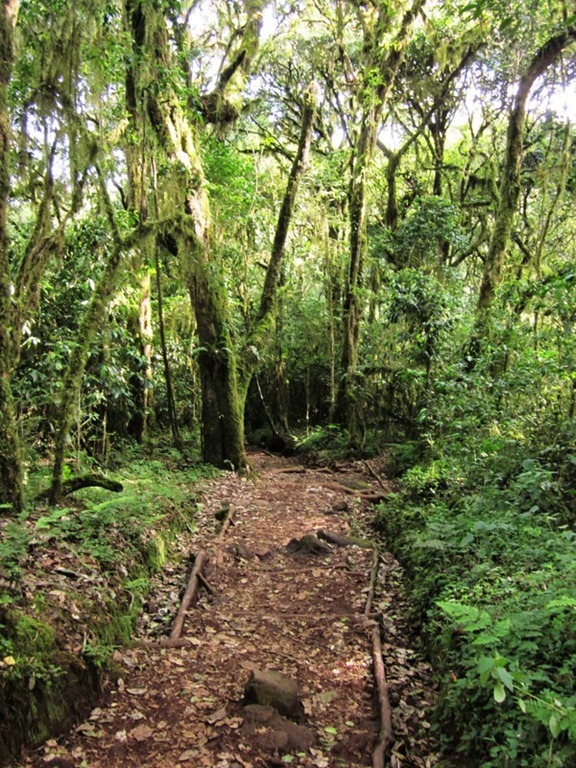 Climbers using this route must use another one to reach the summit. 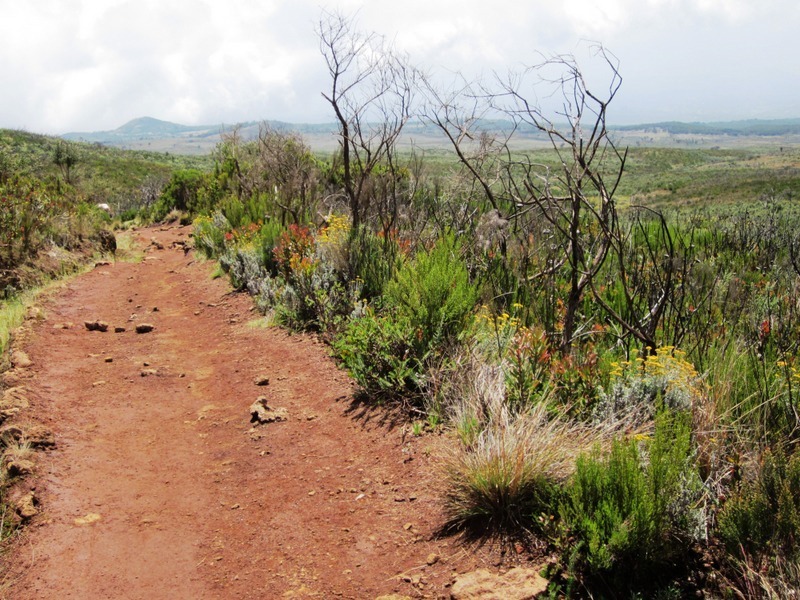 The trail follows the alpine desert band around the peak and offers amazing views of the lowlands below. 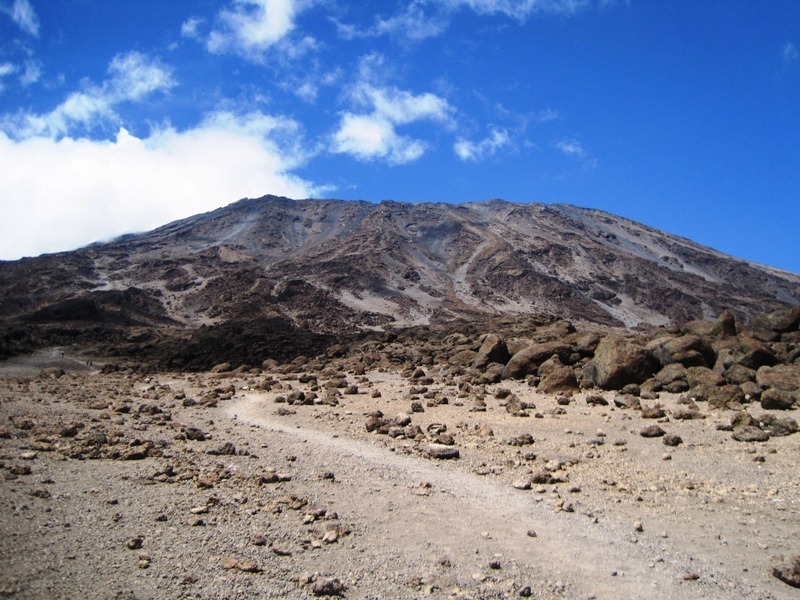 Rongai Route: Also called the Nalemuru, Nalemoru, Loitokitok, or Simba Route, this is a moderately steep route starting on the north side of Kilimanjaro close to the Kenyan border. 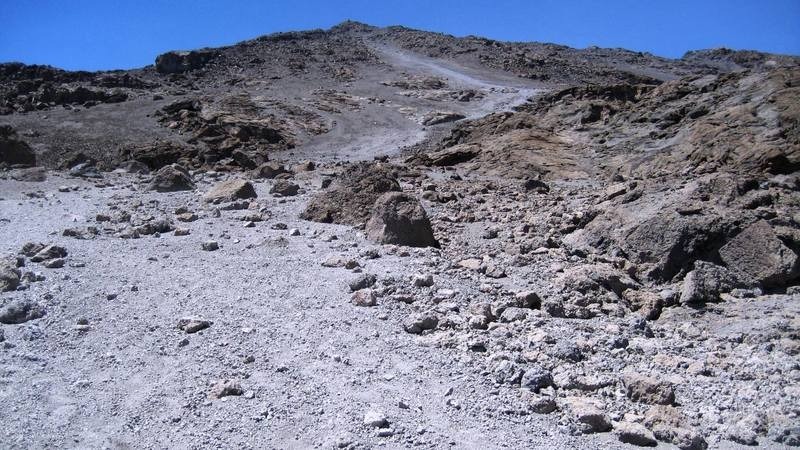 I dubbed the Rongai the “Kilimanjaro Beer” Route because it lies somewhere between a Coca-Cola and a whiskey shot in terms of potency. 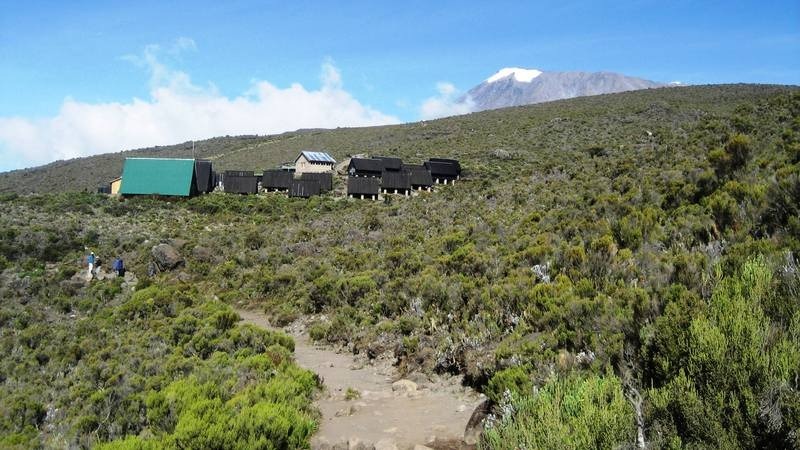 It usually takes six days and merges with the Marangu Route at Kibo Huts. 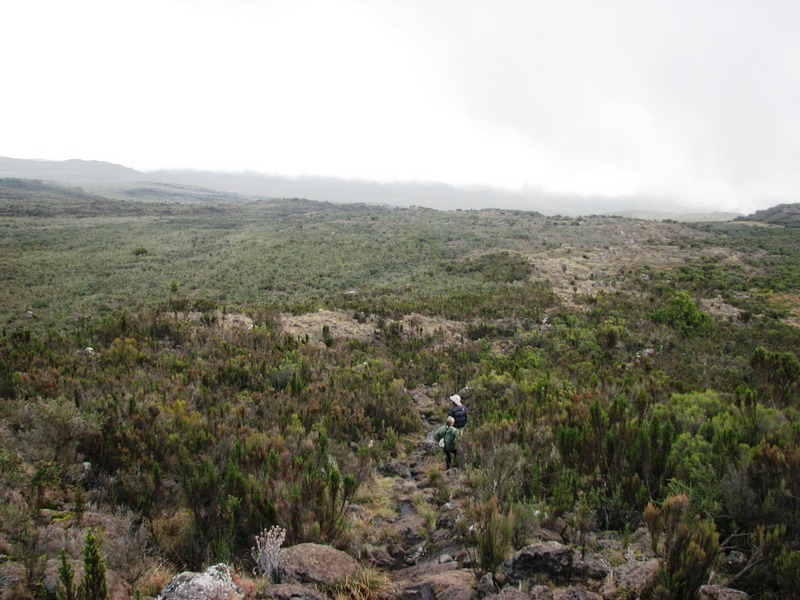 Some claim that it is the easiest way and has a higher success rate because it allows more time to acclimatize. 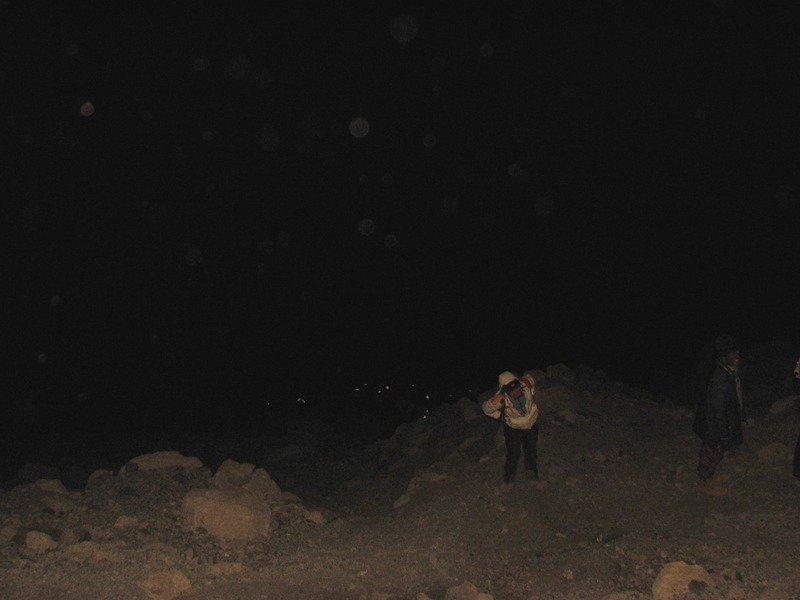 It is relatively sheltered from the elements on the drier side of the mountain, less crowded, and scenic with its alpine vistas. 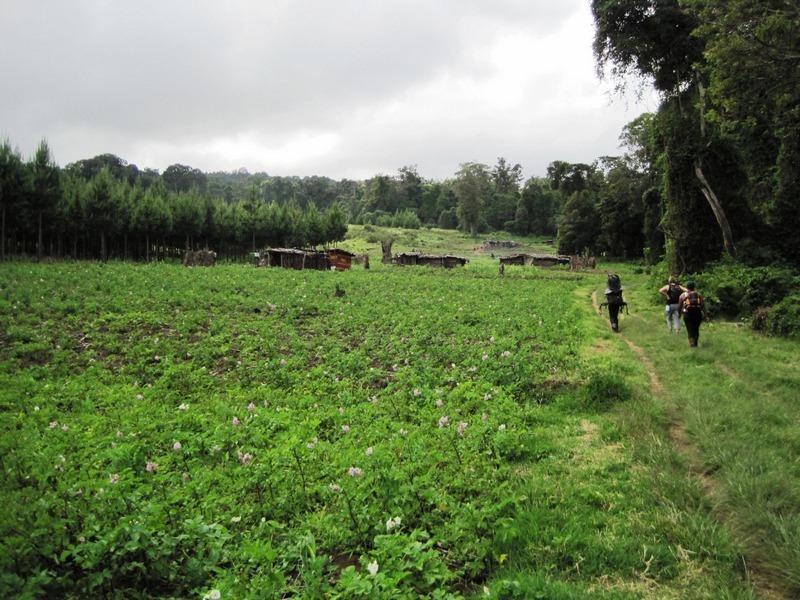 The original trail began further away in the village of Rongai, but it was closed several years ago, and the Nalemuru was unofficially renamed the Rongai. 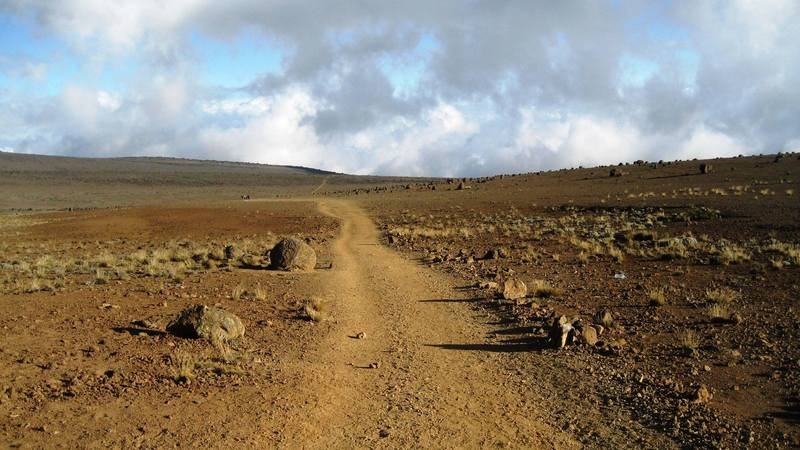 Shira Plateau Route: A long, lesser-used route on the Shira Plateau that merges with the Lemosho Route at Shira Caves Camp. 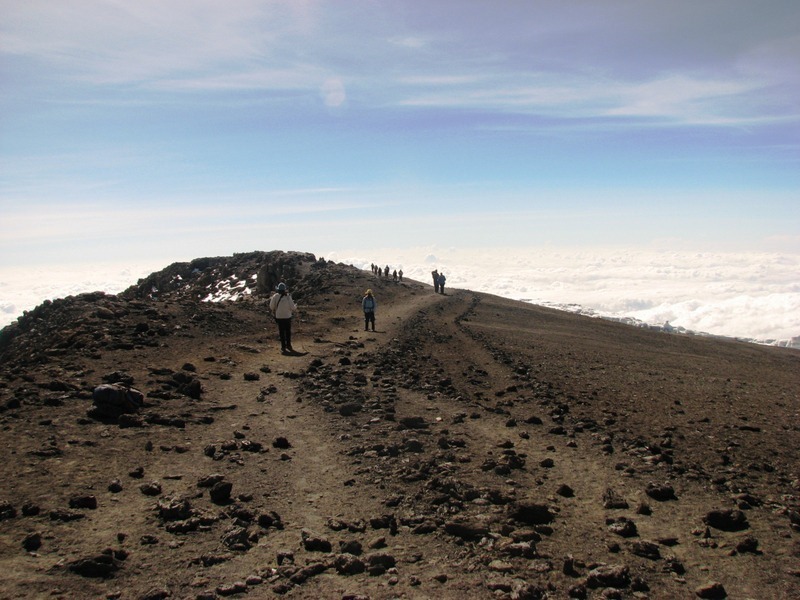 Trekkers who use this route generally follow the Lemosho or Machame routes to the summit. 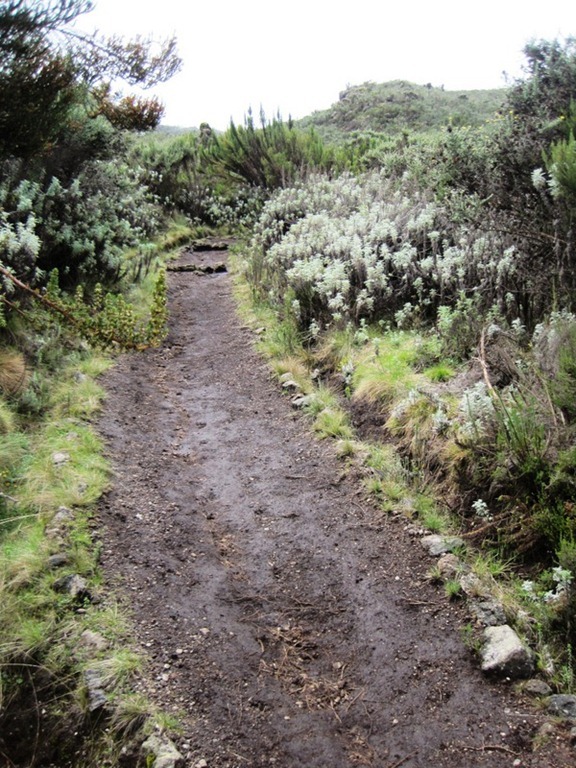 Umbwe Route: Also known as the “Vodka” Route, it is one of the most difficult routes on Kilimanjaro. 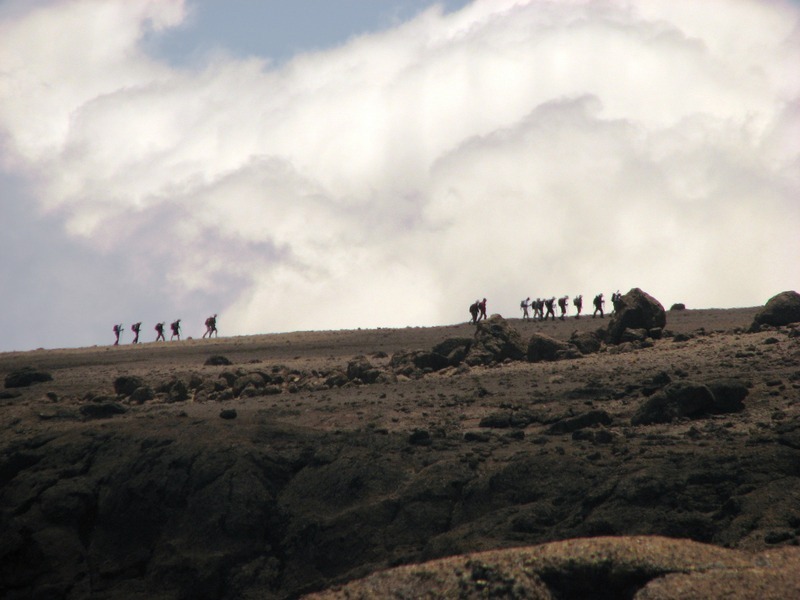 Climbers ascend via the Western Breach or the Machame Route. 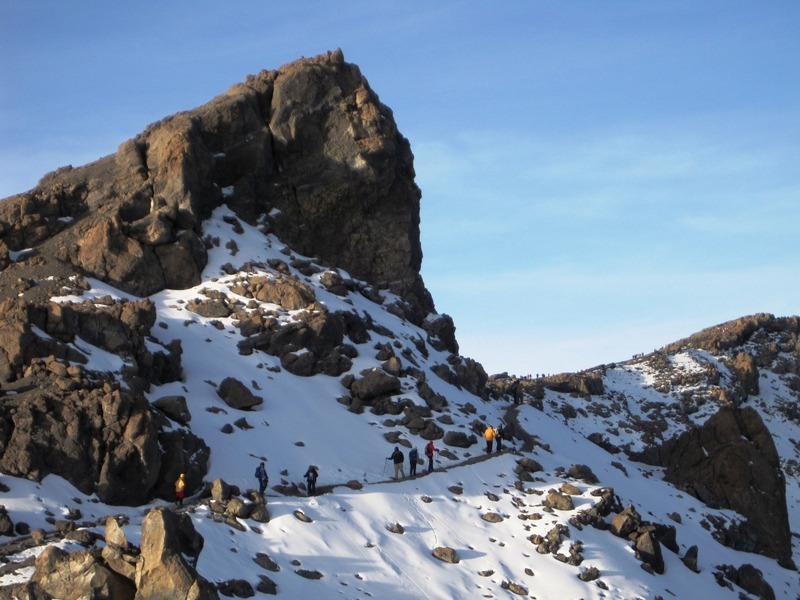 Considered one of the most spectacular ways to reach the summit, it follows a ridge and then passes below the Southern Icefield to merge with the Machame Route at Barafu Huts. 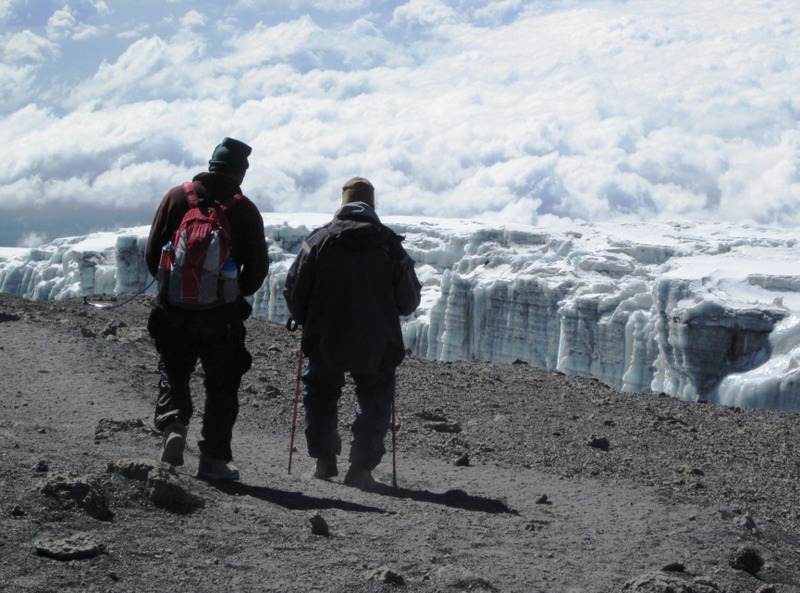 Western Breach/Arrow Glacier Route: Also considered part of the Lemosho Route, this is the most difficult route to the summit. Climbers depart Arrow Glacier Huts, a camp destroyed by rockslides, and summit by scrambling up the Western Breach or climbing the Breach Wall, a 100-meter-high ascent up an icy rock wall. 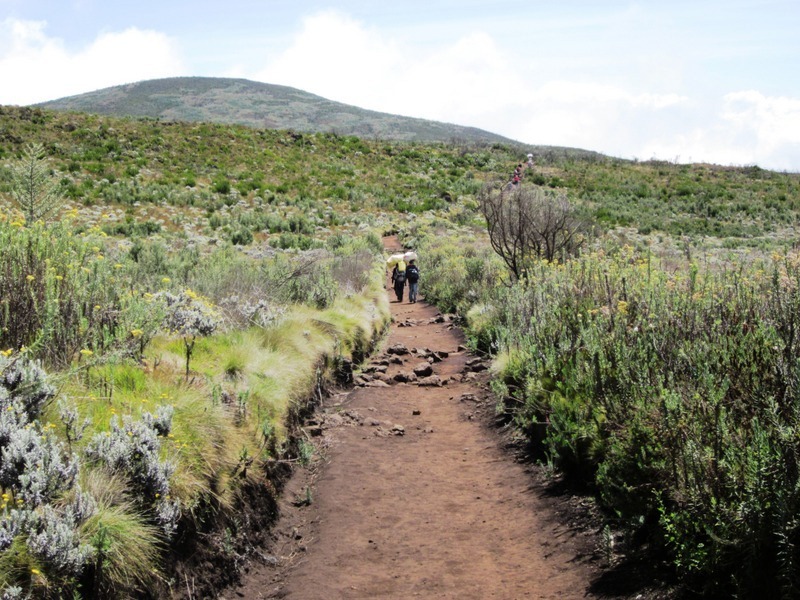 This requires some technical skill, a high level of endurance, and an increased tolerance for high altitudes than the Machame or Marangu routes. 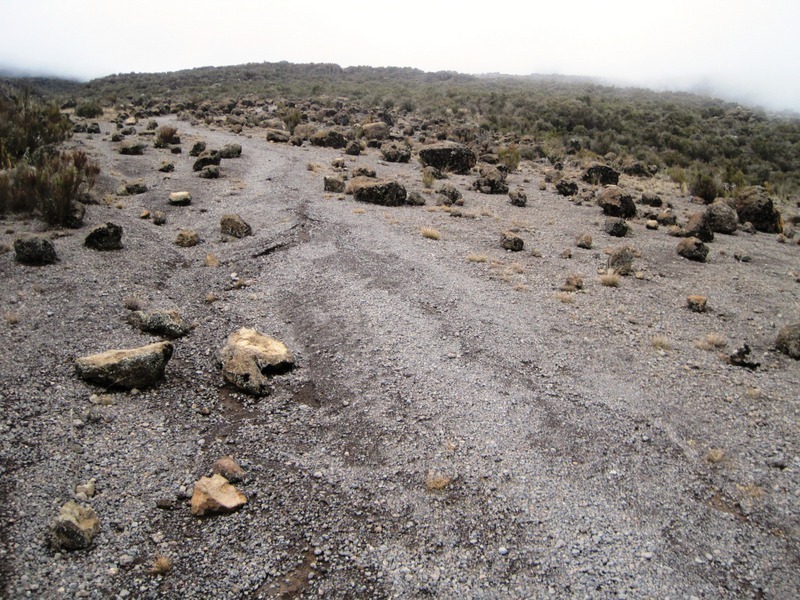 It is prone to rockslides and sometimes icy, requiring climbers to cut ice steps or wear crampons. 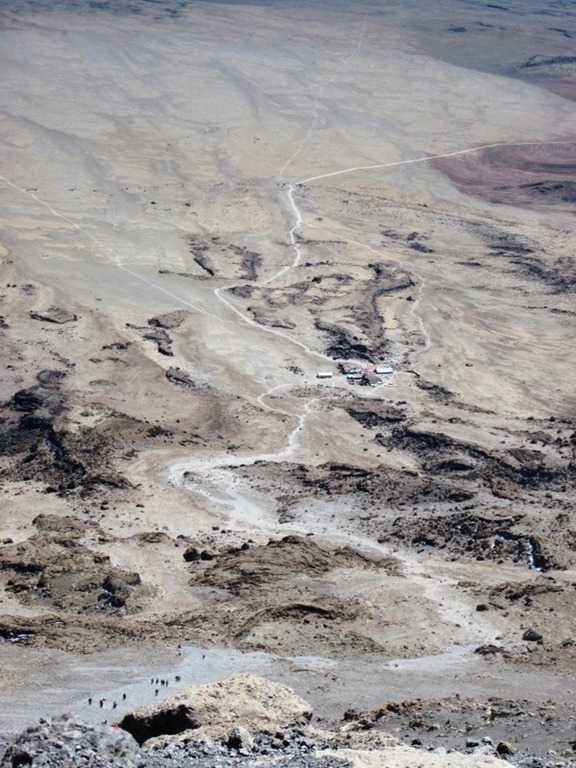 It was closed in 2006 when a rockslide killed several climbers but reopened in December 2007. 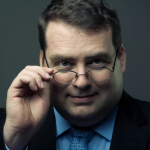 MG Edwards is a writer of books and stories in the thriller and science fiction-fantasy genres. He also writes travel adventures and children’s books. A former U.S. diplomat, he served in South Korea, Paraguay, and Zambia before leaving the Foreign Service to write full time. Edwards is author of six books. 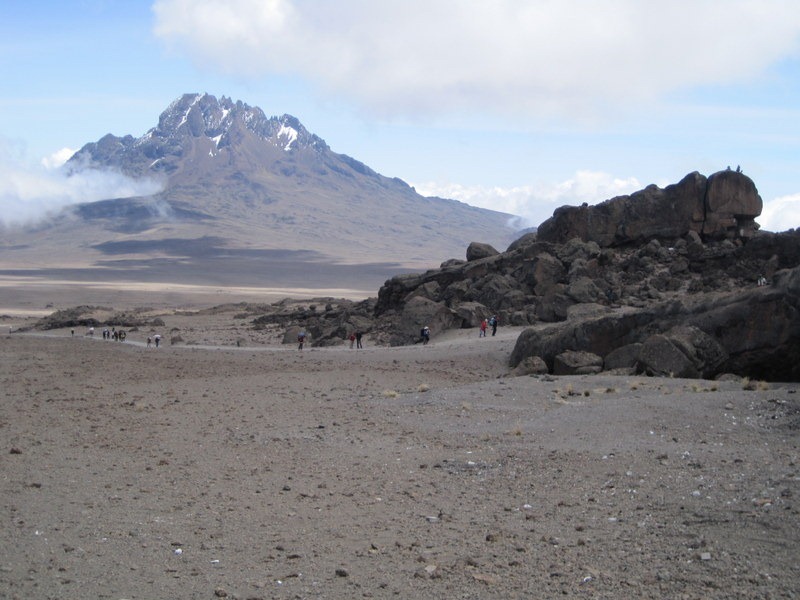 His memoir, Kilimanjaro: One Man’s Quest to Go Over the Hill, was finalist for the Book of the Year Award and the Global eBook Award. He has published four children’s picture books in the World Adventurers for Kids Series: Alexander the Salamander; Ellie the Elephant; Zoe the Zebra; and a collection featuring all three stories. His book Real Dreams: Thirty Years of Short Stories is an anthology of 15 short stories. Edwards lives in Taipei, Taiwan with his family. He has also lived in Austria, Singapore and Thailand. For more books or stories by M.G. Edwards, visit his web site at www.mgedwards.com or contact him by e-mail at me@mgedwards.com or on Twitter @m_g_edwards. © 2019 Brilliance Press. All rights reserved. No part of this work may be reproduced or transmitted without the written consent of the author. World Adventurers and BE. Brilliance Equity are registered trademarks of Brilliance Equity LLC. This is awesome, Mike! What a fantastic adventure! Awesome Inspiring story of Mike…. Mike it is Awesome….. 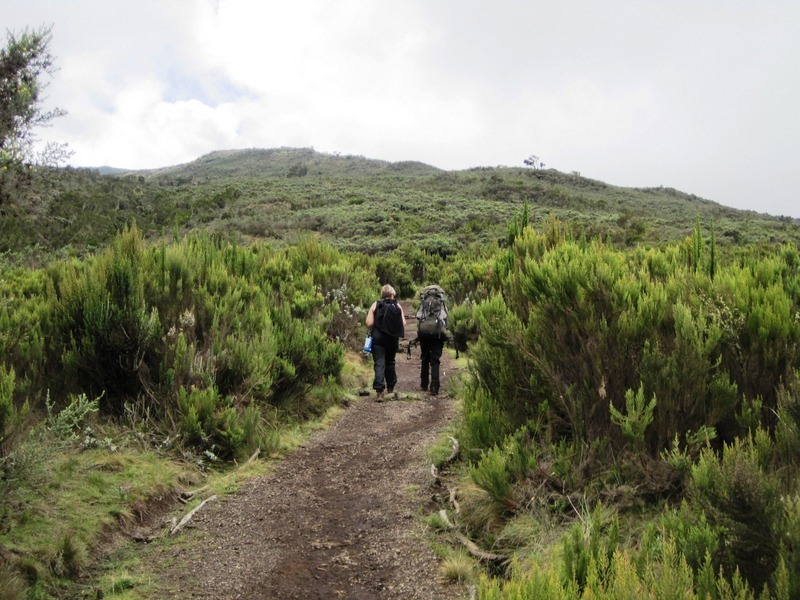 Your journey Kilimanjaro is parallel to my journey of Daily routine, Inspiring me to climb up…. Thank you for this Blog.. Regards to you Sir. Very informative! I look forward to reading more!